The 2017 FIA World Rallycross Championship title may have gone the way of Sweden’s Johan Kristoffersson, but just one point separates former World RX Drivers’ Champions Petter Solberg and Mattias Ekstrom for second please, setting up a last round showdown in South Africa next week. 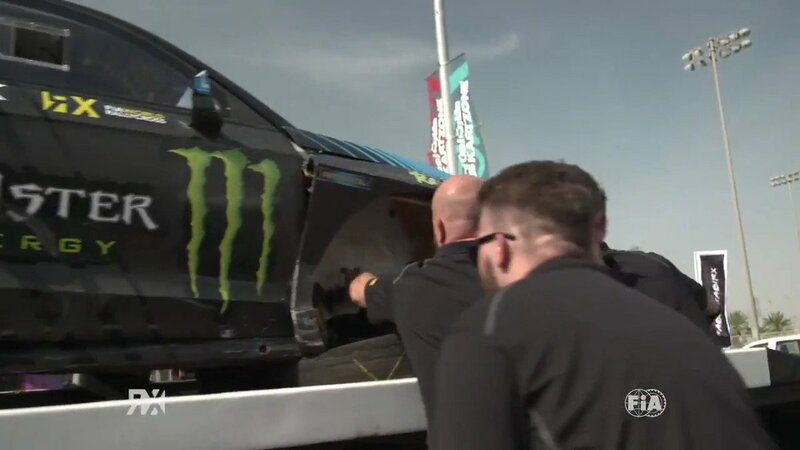 It was an amazing effort by Solberg to race in the penultimate round of World RX at the Estering in Germany following an operation to pin his collarbone in place after his semi-final crash at Latvia RX. Despite having to use a carbon fibre armoured shield to protect his collarbone, and having broken ribs, the Norwegian competed in the event and finished fourth to remain in contention for the vice-champion spot, heading to the first ever World RX round in Cape Town, at the Killarney International Raceway. Find full World RX Championship points here.